Destroyed Soviet KV-1 heavy tank from the 4th Tank Brigade of the 1st Guards Rifle Corps. 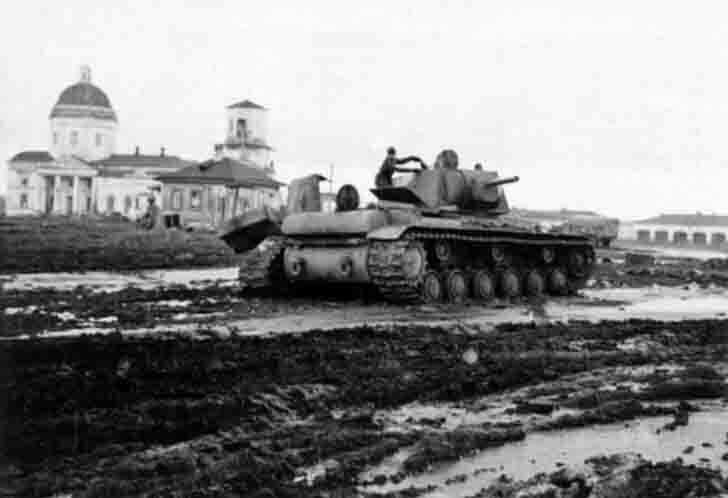 KV-1 heavy tank was destroyed in the October 10, 1941 in the market square of the town of Mzensk. In the background, building the Pyatnitskaya Church and trucks from the German convoy.